Their waiting was different from ours. We wait in anticipation of resurrection celebration. 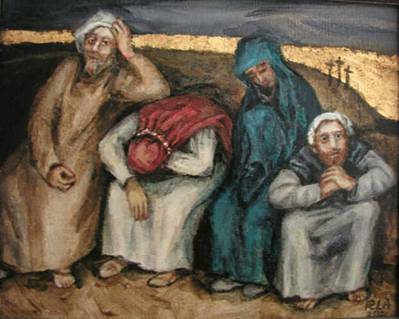 They waited in despair for the Sabbath to pass so they could tend a cadaver and complete a proper entombment. Our waiting is for the completion of a cycle in a story that continues. Their story had been destroyed – pilloried on a shameful instrument of execution reserved for the worst rebels against institutional authority. Our hope is in the invitation to participate in the drama of a life fully lived, courageous in death, transformed in resurrection purpose.